The best time of year to be in southern Spain has come and gone (sort of)... I am talking about féria season. 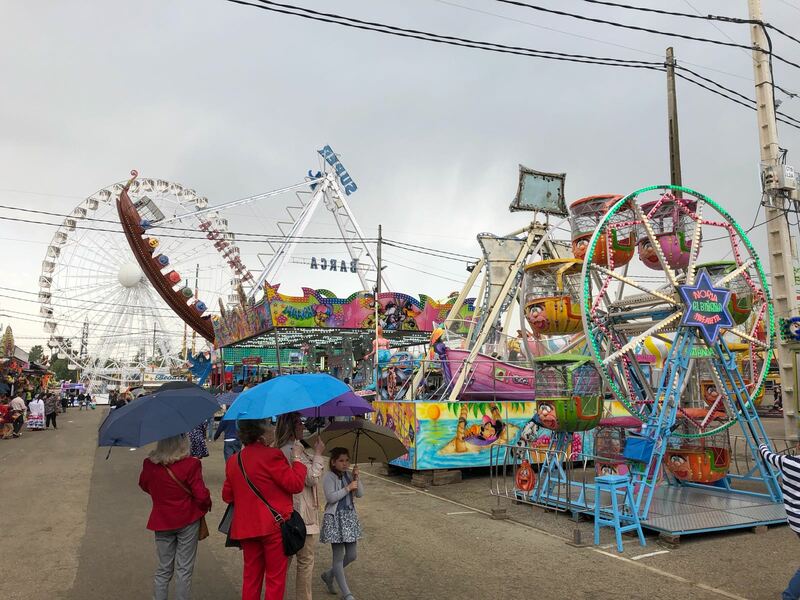 Féria means fair in Spanish but this is nothing like a county fair you'd see in the states. 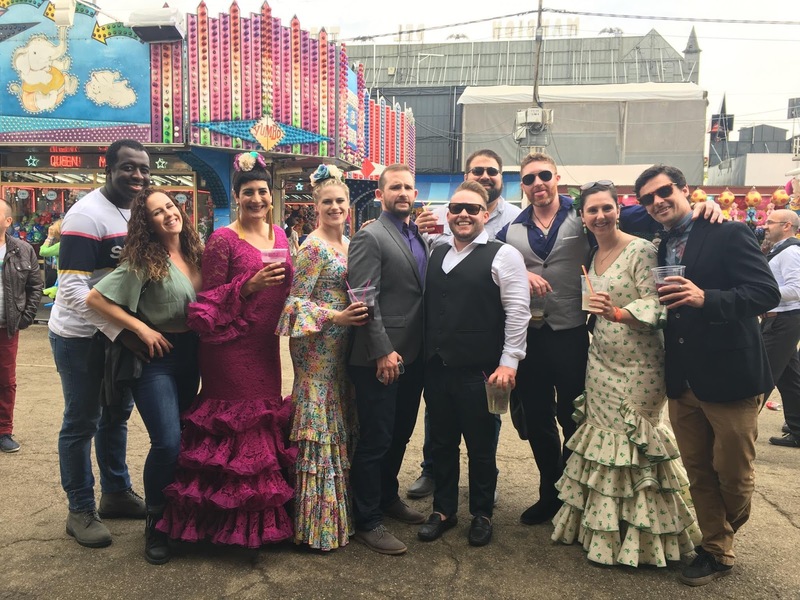 While there are similiarities, there are many many differences but either way -- it is seriously the best party you will ever attend and the whole weekend is an absolute blast. 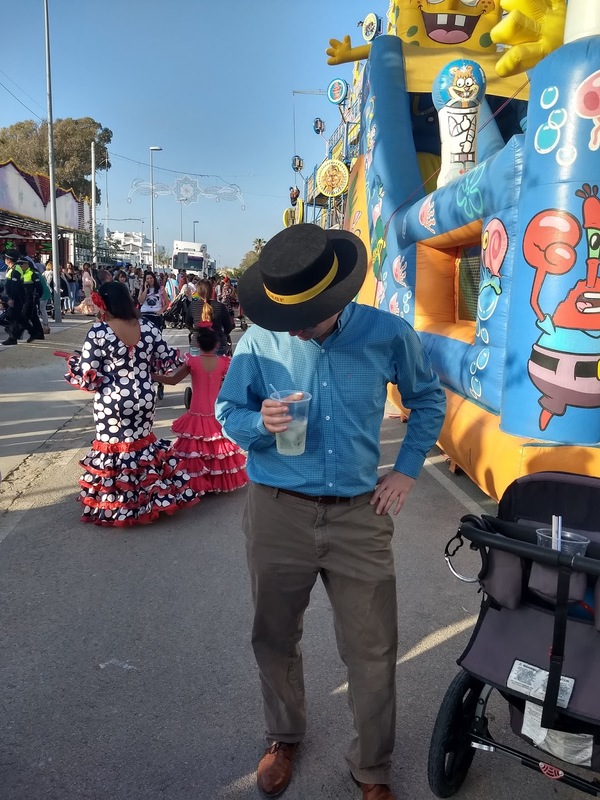 If you need to refresh your memory on what exactly féria is all about, including the food, drinks and clothing -- read my previous féria posts here (2016) and here (2017). 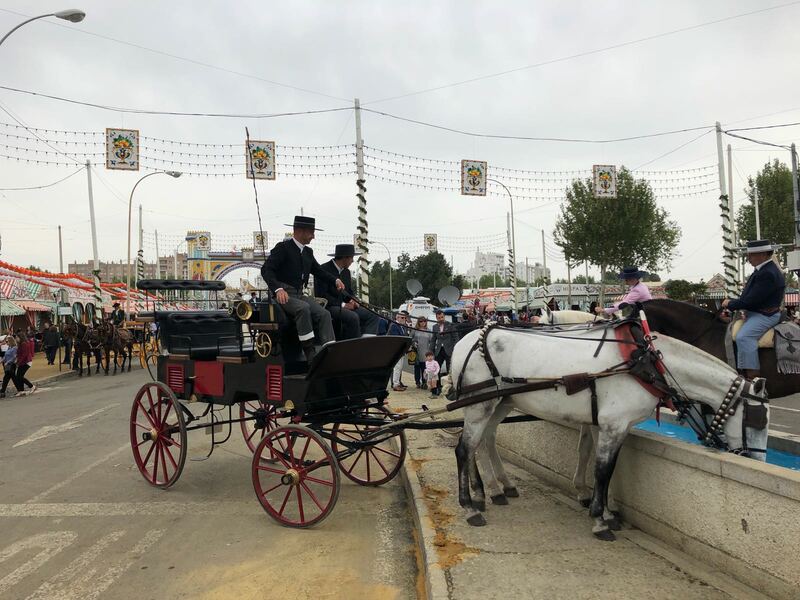 Féria seaon kicks off after Easter and usually with féria in Sevilla -- as the first of the season and also the biggest, most eleborate fair. 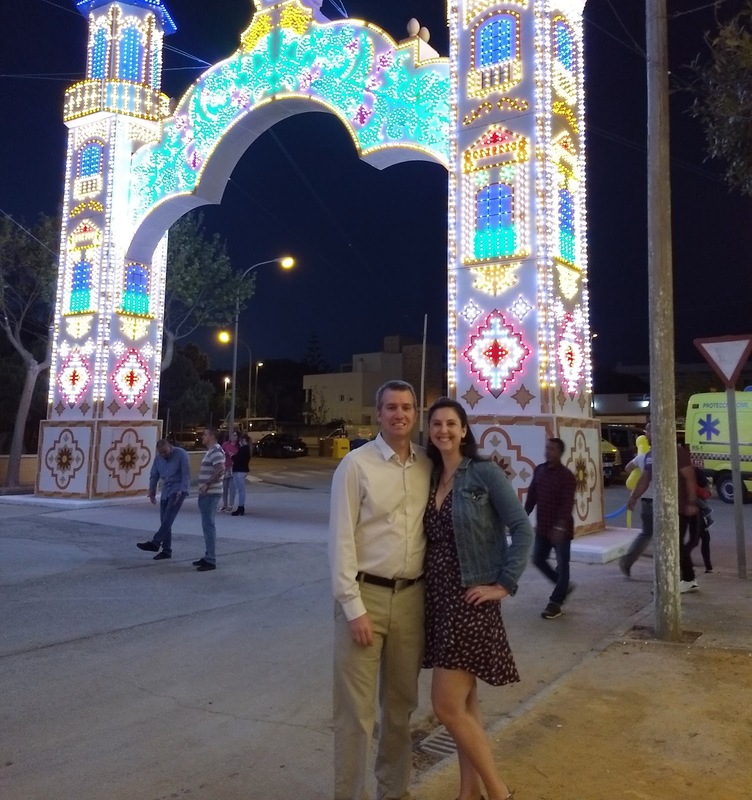 Then on following weekends most towns in Andalucia have their own férias, sometimes going all the way through the summer! However, we usually consider our féria season over once our small town has had their féria. 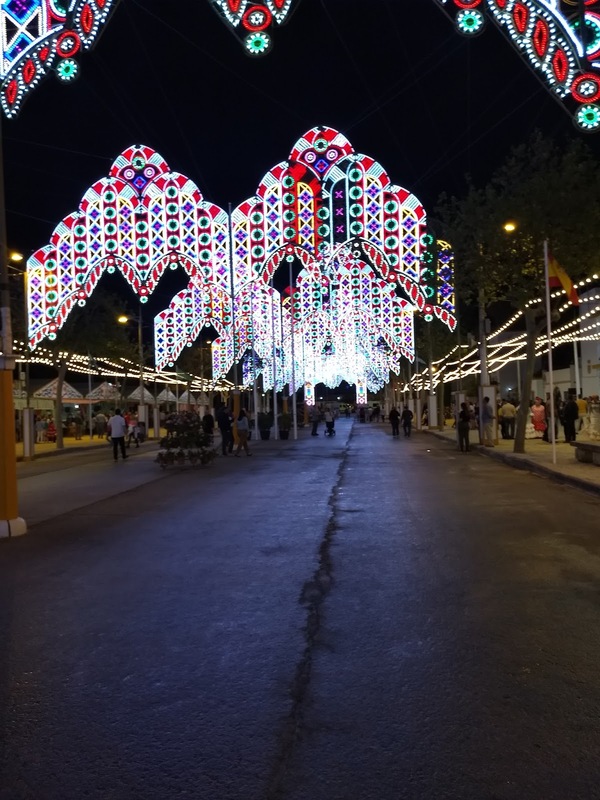 This year my brother happened to be visiting the weekend of Sevilla's féria so we took a bus with some friends up to Sevilla for a day of experiencing the largest féria. 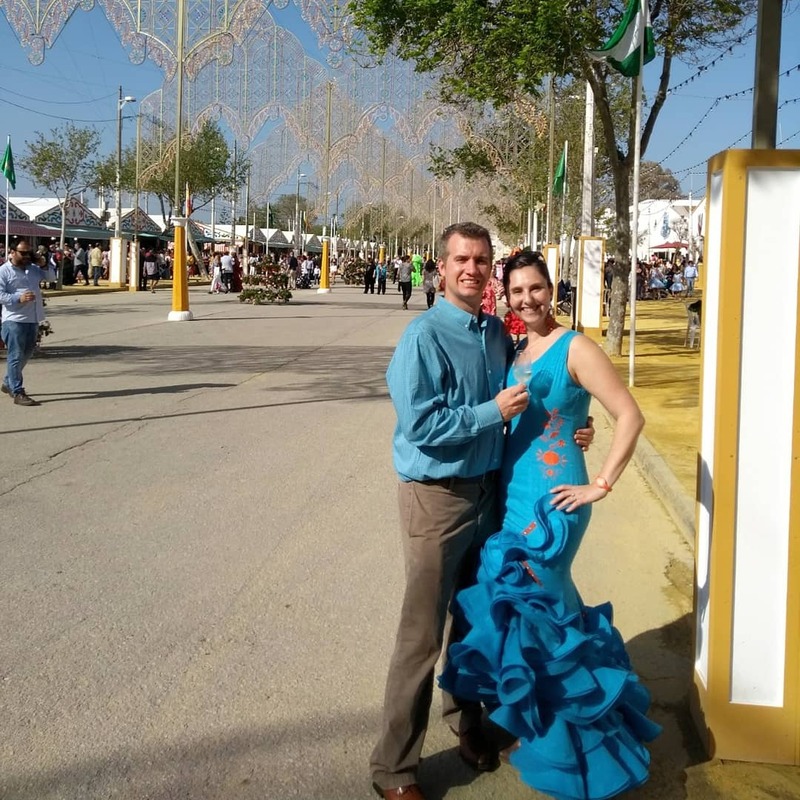 While Sevilla is a sight to see, sadly it is the most exclusive féria of them all -- all the casetas (tents where food and drink is served and dancing takes places) are all private. You must know someone to be invited in or be a part of the club that owns the caseta. 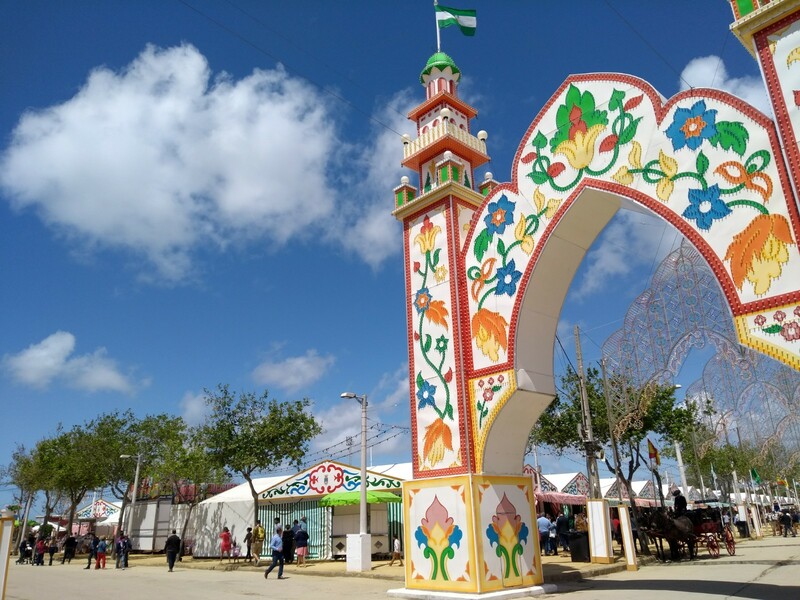 There are a few public casetas but they can get pretty crowded, and with over 1,000 casetas on the féria grounds, it can also be a little difficult to find them. Sevilla's féria is so big a map is needed! 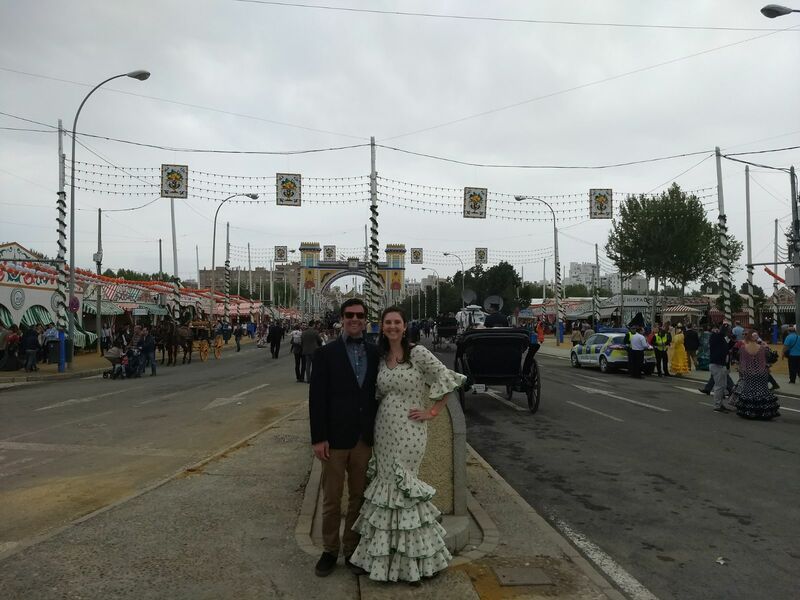 However, the exclusivity of Sevilla's féria did not deter us from having an absolute blast! 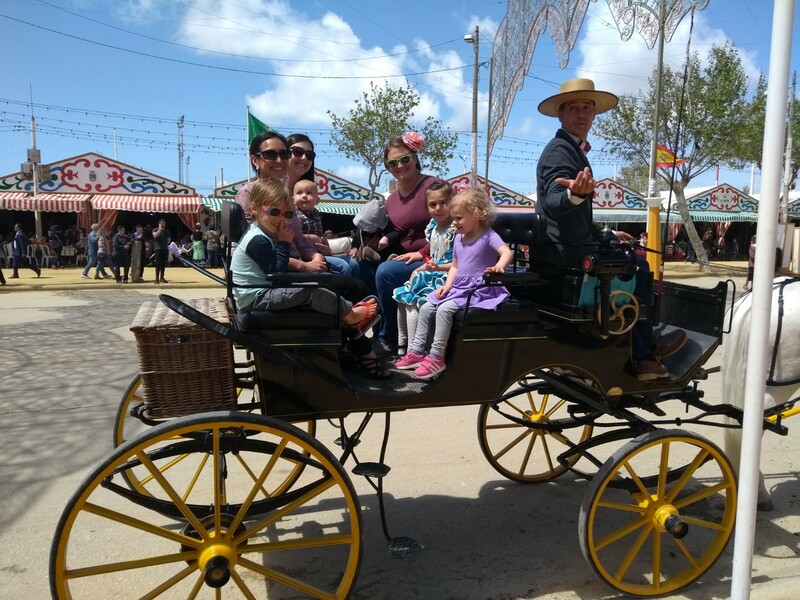 We knew that the Calle del Infierno (Hell's Road) would be a great place to hangout for the day -- public places to eat and drink and also ride some rides! Calle del Infierno is the name of the area (for all férias) where the carnival rides and games are -- and Sevilla's area was SO big -- easily the size of Rota's whole féria! 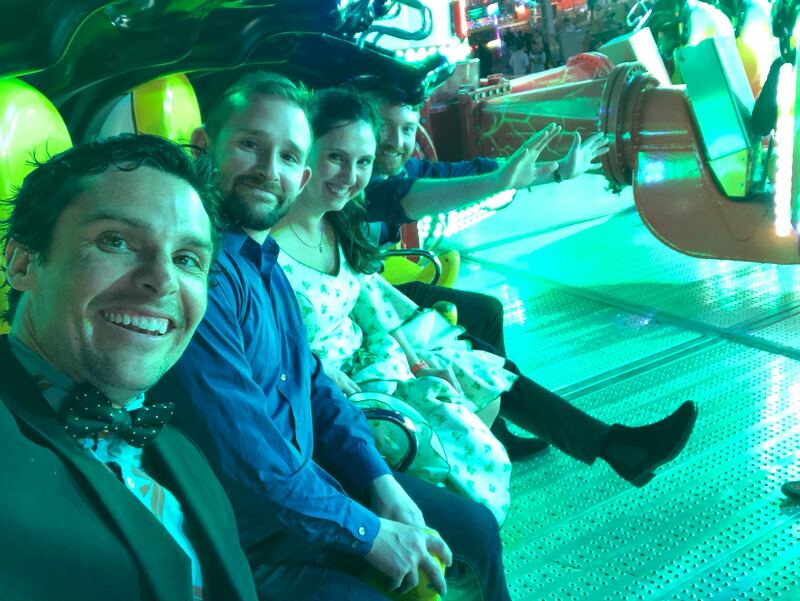 We had a little hiccup with our lunch being slightly more expensive than we had planned but overall we had a wonderful time -- drinking, eating and riding all the scary rides (which takes some serious talent getting into the rides with a féria dress)! 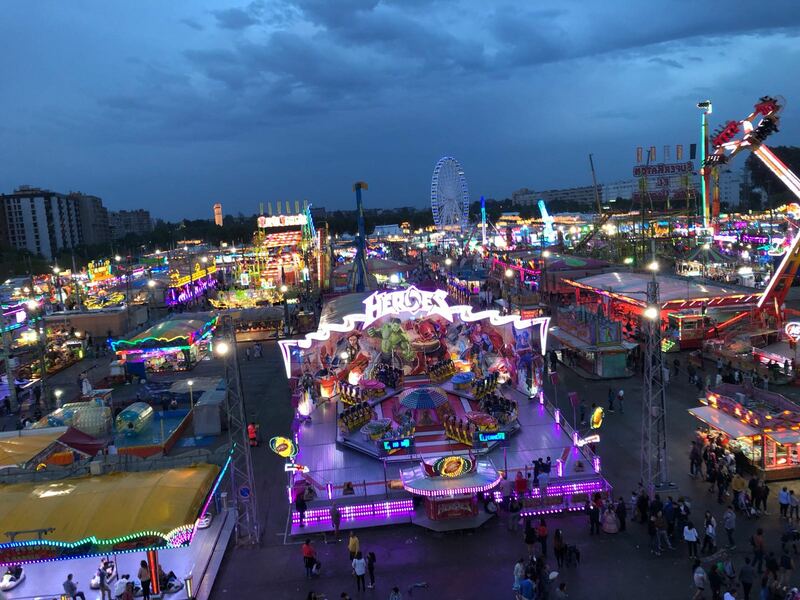 I know I have touched on the rides at féria a little in my first post from our first féria but I want to talk about them again. On the ride up to Sevilla we were all talking about how excited we were about the pirate ship and other rides -- my brother thought we were crazy as carnival rides aren't usually the greatest! 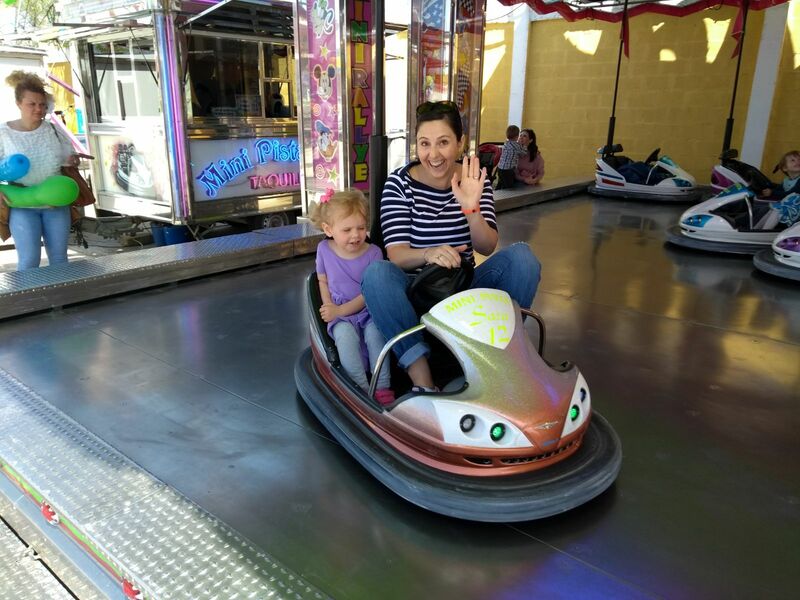 But we tried to explain that the rides at féria are not ordinary rides -- they have the Spanish way of thinking attached to them: fun first, safety second. The pirate ship where you stand in a cage and jump or the insane upside-down/flipping/holding on for dear life ride or the ferris wheel that lasts 10 minutes and moves at easily 25mph! Féria rides are crazy and fun -- and last a very very long time, you most certainly get your money worth! 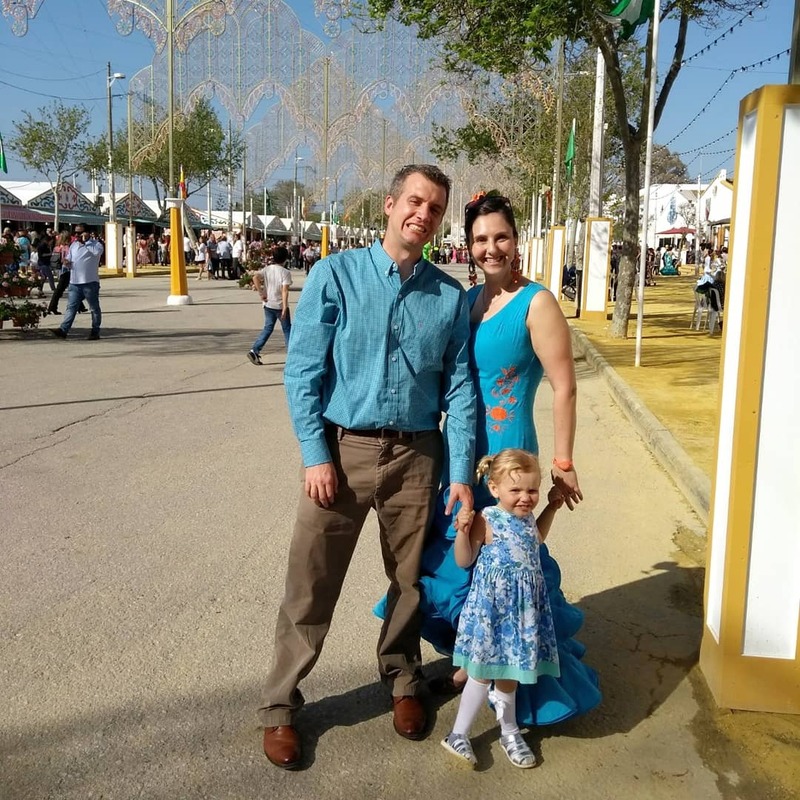 And then the following weekend we had our town's féria. It was just as fun as it has been in the past. 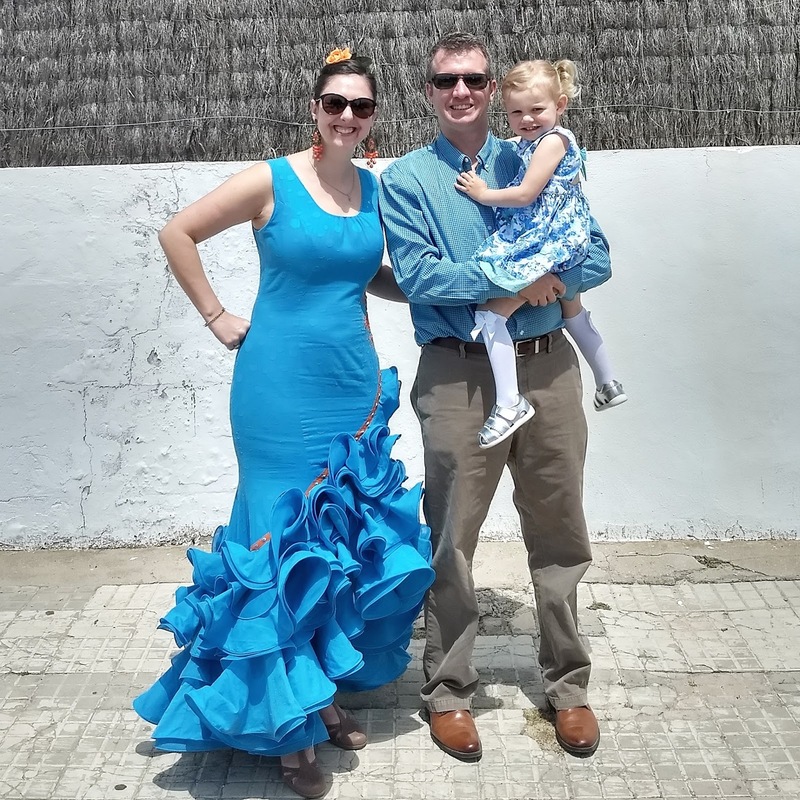 We started out as usual going to lunch with Trevor's coworkers on the first day of féria in one of the peñas. 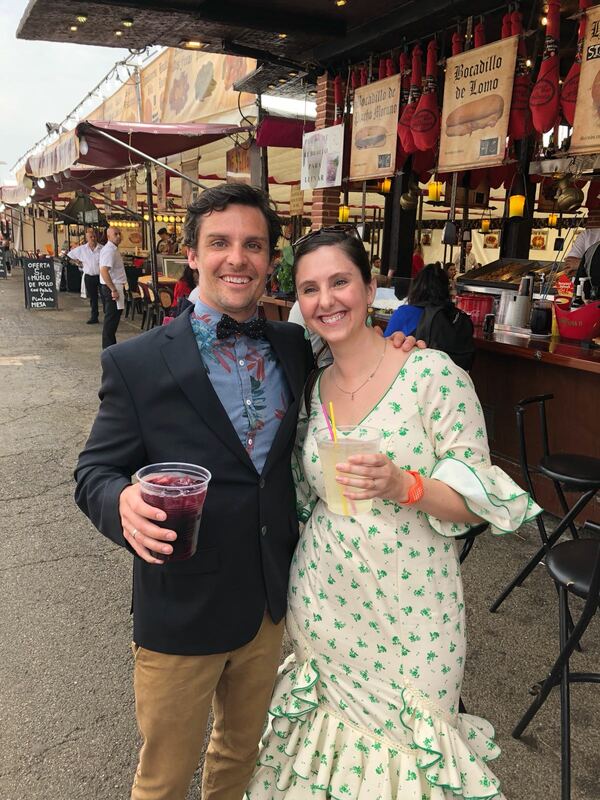 This could easily be considered my favorite day of the whole year -- we get all dressed up and eat and drink our way through the afternoon with some of our closest friends here in Spain! We are then treated to an amazing dance show (flamenco dancing). And once again, our sweet girl just loved the dancing and sat mesmerized for the whole show... 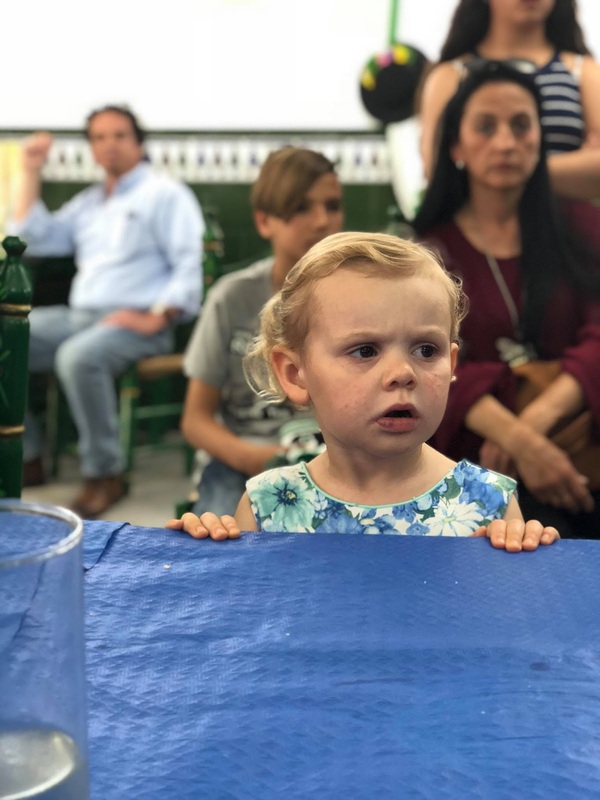 I now have pictures of her just in a trance watching the dancing for three years in a row (she is finally old enough to start lessons in the fall)! It was such a wonderful afternoon and evening. 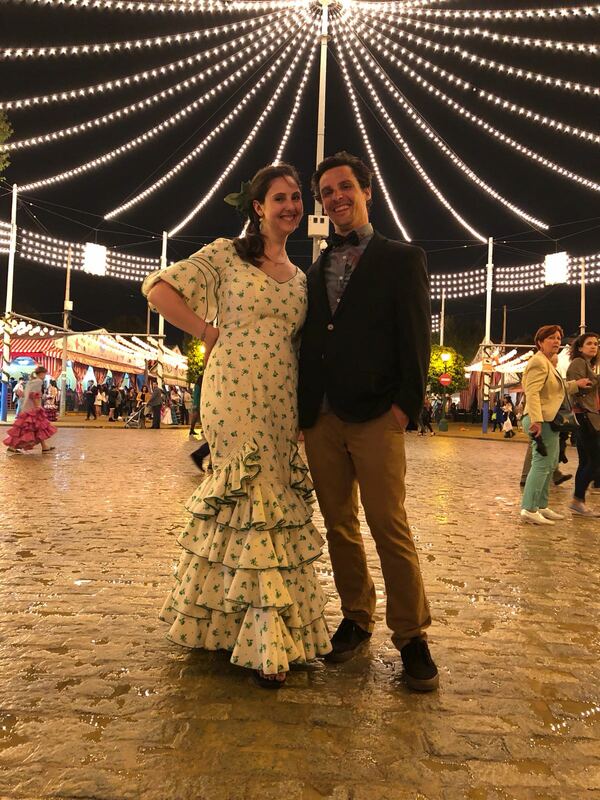 We actually went all four days of féria -- Trevor and I were lucky enough to snag a babysitter for one night so we could enjoy féria just us (and of course with our friends). We did take Serafina the other days to enjoy a carriage ride and some more carnival rides with friends. She had an absolute blast and loved going to "the big party" every day! 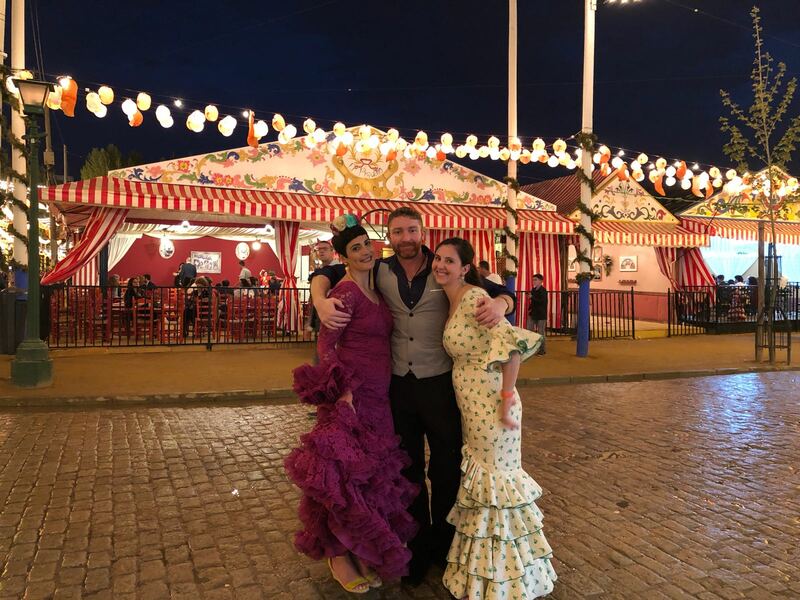 Our féria season was amazing and of course we are already looking forward to next year!